For your information, I released Sweet Home 3D 5.6 tonight. It's a maintenance release that fixes some bugs and regressions listed here. I have an issue with my update. I have a file made in the 5.5, that I cant open entirely with the 5.6. 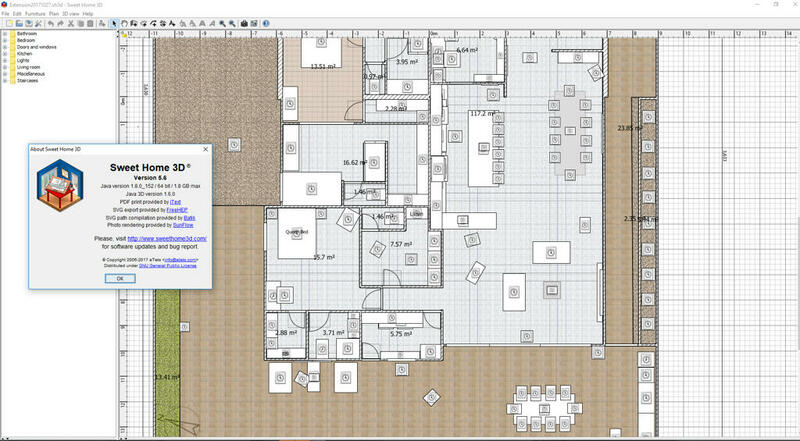 Nothing appear on my floorplan screen and the grid disapeared too. Can you help me please, and sorry for my bad english. Try to reinstall Sweet Home 3D 5.5 and check if you can open your file. If it's not the case, that must be an other issue. 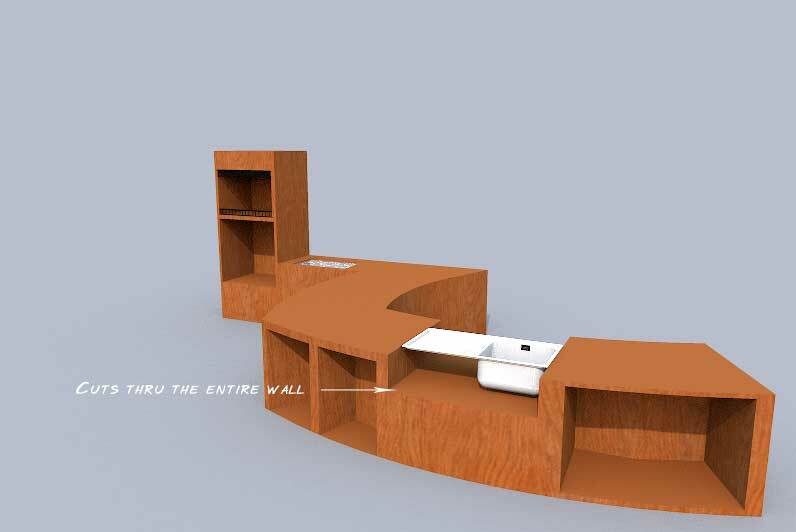 create a basin for a kitchen sink – since any insert will cut clean thru the entire wall. The illustration shows the old project ( 5.2 ) opened in v 5.6. The old cut-outs are not affected, but it's impossible to make new ones. Doors and windows now always cut out both sides of straight or round walls when they are parallel or tangent to them [...] To avoid changes in your existing designed plans, this feature will work only for newly added doors and windows, except for service hatches that will continue to dig walls if they partly cover the wall thickness. This is exactly what you experienced, the niches you created with transparent boxes with Sweet Home 3D 5.2 are still here when you open your file in Sweet Home 3D 5.6, but the new ones created from the catalog (not the ones copied - pasted from the existing file) always cut out the both sides of walls. If you don't want this behavior, use a service hatch setting its material to transparent. You may still use the transparent box like in previous versions only if you include it in a sh3f file and set its doorOrWindowWallCutOutOnBothSides# property to false in the PluginFurnitureCatalog.properties file, like in the DiggingInvisibleBox.sh3f file attached to this post. 5.6 now takes over an hour to render approx 70 pieces of furniture. Same on 5.5. There has been several Win 10 updates since I last used Sweet Home. Any ideas on how to fix the VERY slow rendering of the furniture? If by "render", you mean creating a photo at one of the two best quality levels, nothing was recently changed in the program that could slow down this operation. Maybe you added many lights, chose a larger size for the image or you could also check if increasing the max memory used by Sweet Home 3D will improve the rendering. I mean when I load an existing plan and the placed furniture images are just rectangles. Slowly over like an hour, the correct furniture images load. How do I attach a screenshot as your image attach requires a link?